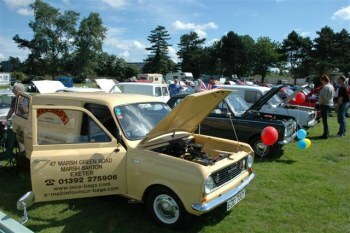 Welcome to the website of the Vauxhall Viva Owners Club. 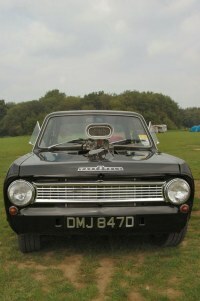 You might be forgiven for thinking that the VVOC is just another car club full of anoraks that get together oh so infrequently to just talk about Vivas… Well, okay, there is a fair bit of Viva chat, but we like to think that the club is just as much about the people in it, as the cars themselves. 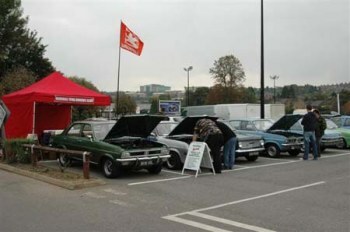 We like to think that the club is as much about the members as it is about the cars. Each of us has a reason for joining, be it the need for parts, or perhaps just receiving and being able to enjoy a club magazine appeals. 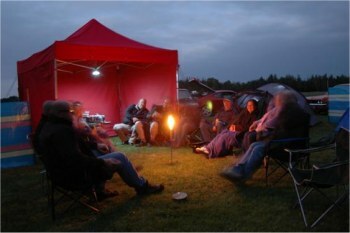 For some, going to events and the social atmosphere of the club is what attracts. 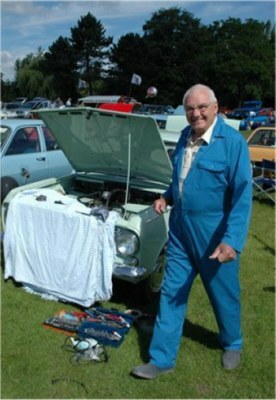 To kick back with friends and simply have a laugh at a car event. Or to be able to take the wife and kids along to one of the clubs ever increasing family friendly events could be for you. Over the last couple of years, we have tried to make our events more family orientated, with more than just the cars to look at and enjoy. Maybe your mum or dad owned one, and some memory stuck with you. Either way, you’ll find that the owner of every Viva has a story to tell, and as you look more closely at the cars, you’ll maybe find that each car is as individual as it’s owner. 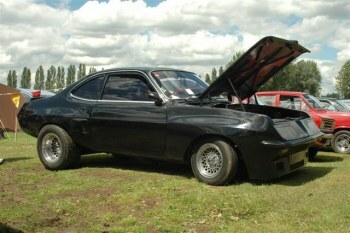 Or perhaps you are the type of Viva owner who has in mind a special project, to see just what can be done. We already have members who have taken less than healthy cars and made specials from them. You may be surprised yourself at what can be achieved, as fibre body panels can be made or purchased, and the odd V8 has been known to find it’s way under the bonnet of a Viva. The club couldn’t condone the complete destruction of a perfectly good road worthy car, but we are philosophical enough see that as it’s your car, and that you are entitled to do as you wish with it. But if the car you have in mind is a shed with little to no hope of being restored successfully, then to make something a little different from it can only be an improvement on the alternative, which would be to scrap it. We like to think of such projects as being the phoenix rising from the ashes, and wish anyone with the mind and resources to do this, the best of luck. We will leave you now to browse and enjoy the site, but if you happen to see our club at a show, why not come over for a chat. We are more than happy to talk Viva with anyone, members or otherwise.